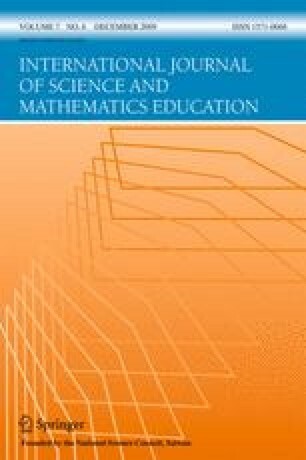 This study explores the mental images at the microscopic level of matter created by 22 preservice science teachers in Oman. Participants were encouraged during a guided imagery session to construct mental images for a scenario written about the explanation of the reaction of sodium in water. They were then asked to describe what they envisioned in their own imagination. Participants had images that were based on textbook illustrations, modeling kits, a solar-system model, physical properties, and humanized animations. 3D mental images represented 33.36% of participants’ mental images at the microscopic level, while images in 2D format formed 39.15% of the overall created mental images. Several factors shaped the participants’ mental images, such as their imaginative ability, attention mode, and the nature of their old images stored in their long-term memory. Most of the participants experienced image transformation from one form to another as they were progressing in the GI session. This unstable reliance on different models might indicate unorganized conceptual networks in learners’ LTM: a feature that characterizes novices’ mental networking. On the contrary, past research has revealed that experts have more organized and sophisticated conceptual networking. This study argued that participants lacked the homogeneous and reliable mental model of the atom that is required to carry out advanced cognitive processes for mental exploration of chemical phenomena. The absence of this mental model might explain the overwhelming finding in literature that many learners fail to explain and predict chemical phenomena.